You are here: Home › Stayfitcentral Health & Fitness Blog › Health & Fitness Blog › Buyers Guides › How Does MCT Oil Work? From the time it hits your digestive system, MCT oil works differently than other fats. This is what makes it so beneficial to us as an instant source of energy and remedy at easing the ‘keto flu’ among other things. 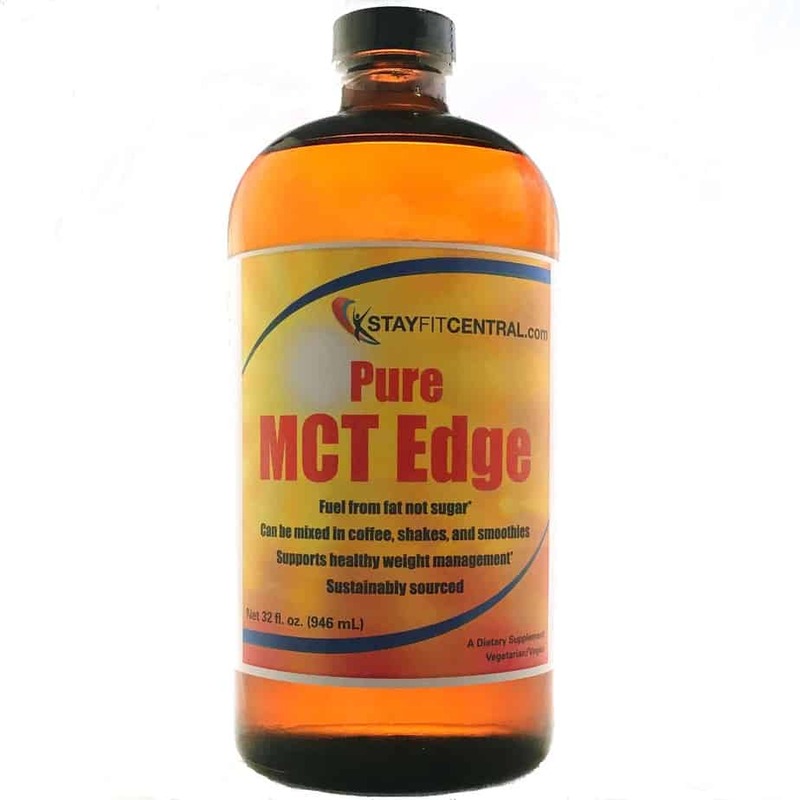 After reading this post, you’ll know exactly how MCT oil works in your body and what it can do for your healthy and performance. When you eat most fats (butter, fish or olive oil for example), they’re broken down in your small intestine and then released into your bloodstream. They’re then either used as energy, stored as extra body fat, or assimilated into the cells of your body to perform other functions. Depending on a variety of factors, this process may take several hours to occur. MCTs on the other hand, are digested much differently and much faster. Instead of being released into your bloodstream, medium chain triglycerides (MCTs) are shuttled from your small intestine to your liver. Once they enter your liver, they’re converted through a complex biochemical process to a compound called beta hydroxybutyrate (BHB). BHB is a type of compound referred to as a ketone. If you eat a low carb or keto diet you may have heard of them before. If not, that’s okay, I’ll teach you what you need to know in the next section of this article. This process takes less than an hour. 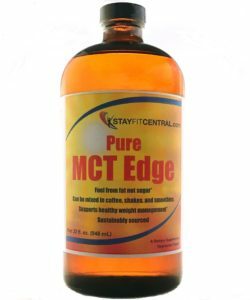 This ability to be put to work right away means that MCT oil isn’t as likely to be stored as excess fat in your liver or elsewhere in your body. This is why so many bodybuilders supplement with it when they’re dieting to get as lean as possible without losing muscle. Once BHB is made from MCT oil, it is released into your bloodstream. When levels of BHB become high enough, you will be in what’s referred to as nutritional ketosis. If you eat low carb or keto, you’re probably familiar with this term. If not, it is the state at which your body is using fat for energy instead of sugar. Beta hydroxybutyrate also goes to work in various organs including your brain, muscles, and heart where is can be used as a source of energy instead of sugar. The ability to help our liver create more ketones so that our body can run on fat for fuel is what makes MCT oil work for you and me. I’ve listed some of their most important benefits for you below. Ketones are shown to suppress your appetite for hours at a time. They give you a boost of extra energy for brain so you are clear and focused. You’ll have more physical energy for your workouts. They help to decrease blood sugar levels when you eat a high carb meal. Ketones prevent you from losing muscle when your dieting to cut excess body fat. They’re a diuretic, which means they’ll help you shed excess water weight quickly. Now that you know how they work, it’s time to learn how to make MCTs benefit you. Listed below are a few tips on how to take it for optimal results. Start with a small amount. Since it’s digested so rapidly, taking too much MCT oil can leave you with an upset stomach. It takes a week or two for your body to be able to digest them easily. I recommend beginning with a single teaspoon serving. Studies show this amount is easily tolerated. Work up to a serving of one tablespoon. This is the amount shown to be most effective for increasing ketones in your bloodstream to a high enough amount to create the benefits listed above. Take your time doing this, increasing from one teaspoon to a tablespoon in small amounts over a week. Take your MCTs with food. Since they’re odorless and tasteless you can mix them into or drizzle your MCTs over your food. This decreases the chances of getting an upset stomach and can also help you stay in nutritional ketosis. Even if you eat a little extra carbs. Take them before you workout or have to focus for work. Taking a serving thirty minutes to an hour prior to intense activity will give your brain and muscles more energy to perform their best. Supplement with MCTs when you’re getting used to intermittent fasting or a low carb/keto diet. They will help prevent the low energy, brain fog, and cravings that often occur when your body is adapting to using fat for its fuel. Now that you understand how MCT oil works and how to take it for the best results, it’s time to learn how to buy the best product. When shopping for this supplement you want to make any product you consider buying meets the following requirements. It’s processed and made without any potentially harmful chemicals or solvents. 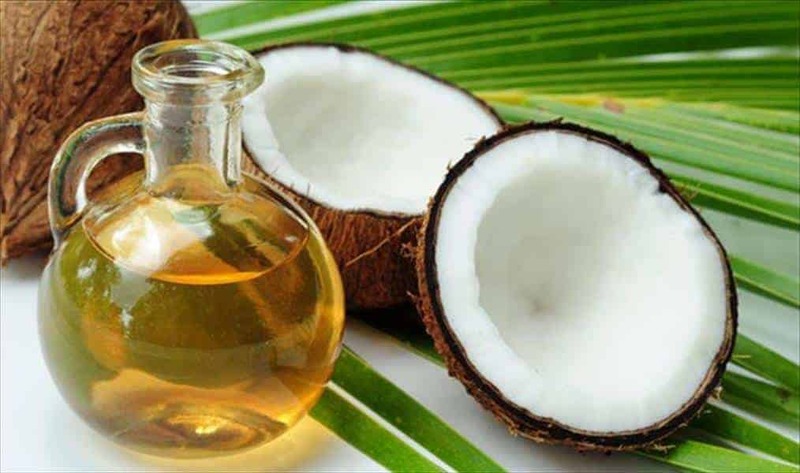 That the coconuts used to produce your MCT oil are sustainably sourced to help preserve and protect the environment. It’s pharmaceutical grade and contains nothing but MCTs. It should only contain the 2 types of MCTs (Caprylic and Capric acids) that are proven to significantly increase ketones in your blood. The other 2 MCTs found in lower quality supplements hardly increase ketones in your body. One supplement that meets all of these requirements is MCT Edge. It’s also the one that I take every day. MCT Edge is our in-house brand that my wife and I developed after testing several other products and doing countless hours of research. Give it a try to see how powerful MCTs can be. Now you know how MCT oil works, and what they can do for you. All that’s left is for you to give them a try yourself.